Haha! Yes, that's what I did! I totally rewatched E.T. to see if it was as good as I remember it being when I was a kid. Come on, you all know E.T. right? It's the classic tale of spaceship landing in America... alien getting left behind, boy meets alien, alien creates telepathic link with boy, alien starts dying, boy starts dying too, spaceship comes back, alien goes home. Sounds familiar, right? This is classic Steven Spielberg. It has a great score, a dynamic cast, an up close and personal movie 'monster' and of course suspense! What is mesmerising about this film are the children. Children in this film sit around playing Dungeons and Dragons, their bike rides are exhilarating rather than 'exercise', T.V can hold interest for a few minutes before it's boring, and the outside world is there to be explored and dominated by them. This film is a celebration of childhood even if it did not intend to be. Spielberg is just excellent at shooting children and depicting childhood, Hook (1991) and Jurassic Park (1993) are excellent examples of his craft. E.T. gets excellent reviews all round. I know this, and I understand why. It is a coming-of-age tale about an alienated boy and of course the Martian that he comes to love. Spielberg always manages to unite mundanity with the paranormal/otherworldly, he does this in other movies such as The Goonies* (1985), Poltergeist (1982) and Hook. So the real question is how has it dated? Do I still feel the same way I did when I was little? Unfortunately, no, I don't. In fact there were times where I would go walk-about forgetting that I was even watching a film (no, that's not old age!). When I was little I remember being filled with so much awe, and being terrified in all the right places, but this time round the film felt a little stale. The strangest part is that when I started it, I had honestly forgotten the majority of the film... after all, I had probably been around six years old when I first watched it. So although I had forgotten much of what would happen, I had not forgotten the score... not a wink. The score is just so amazing. I can't rate it as high as I would have as a child I'm afraid. I know, I'm being harsh, but even though it's a film that creates such feelings of nostalgia, without it, the film is a little slow for my tastes... and not much really happens. Also! 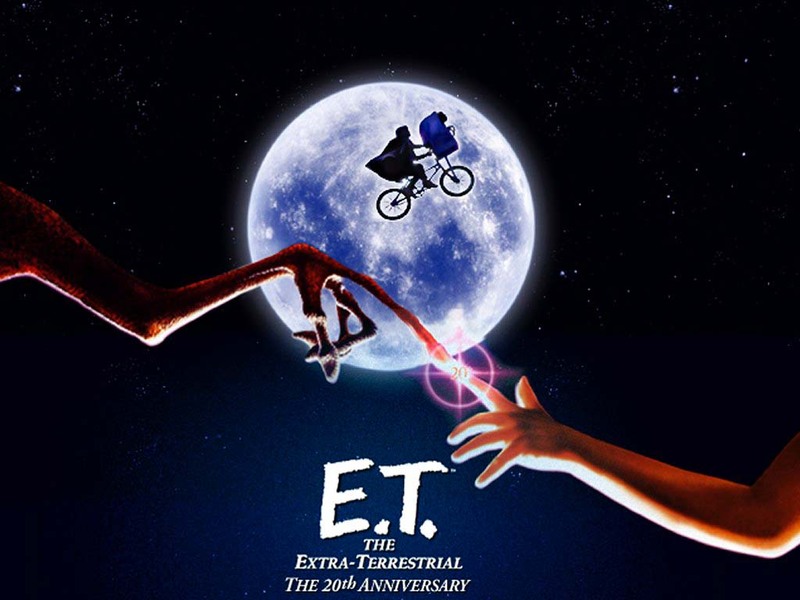 Here is a fabulous video of John Williams Creating the Score of E.T. So many great childhood memories with this movie. Love it!